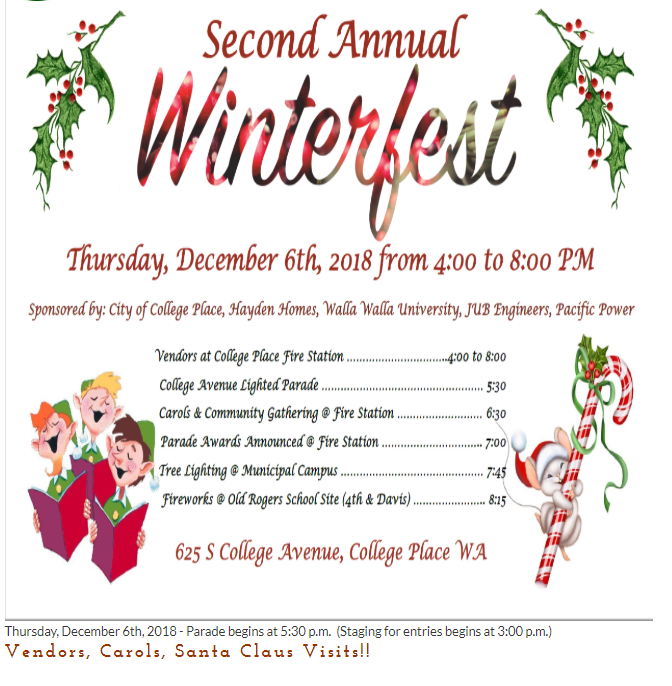 You are invited to the second annual City of College Place Winterfest, this Thursday, December 6 on College Avenue. Vendors will be at the College Place Fire Station from 4:00-8:00, and there will be a lighted parade down College Avenue, beginning at 5:30, which will include a float from our own CPHS ASB! Tree lighting will continue at 7:45pm, and the festivities will end with fireworks at Old Rogers Field at 8:15pm. Come enjoy a family-friendly, community-building event!